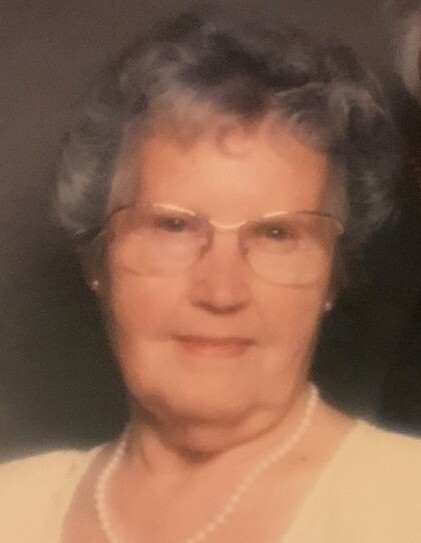 Obituary for Mary A. Kalmes | Williams-Pedersen Funeral Home, Inc.
Mary Alice Hayes Lemieux- Kalmes, 92, went home to be with the Lord on Tuesday, March 19th, 2019. She was the daughter of the late Frank Hayes and Alice Morrill Hayes-Seeley. Born in Chicago, IL, on June 18th, 1926, Mary moved to Massachusetts at the age of 6 weeks and spent the majority of her life in Massachusetts. She was employed as a Letter Carrier for the United States Upton Post Office, along with driving school bus for the Upton School District and delivering local newspapers. Mary was well known and loved by all who knew her. Mary moved to California in 1993 where she met the love of her life, Bert, who passed away in 2008, after 13 wonderful years of marriage. Mary and Bert had a love beyond what anyone could imagine and enjoyed life together camping, traveling, going to yard sales, playing Bingo and participating in local groups, such as the Elks, Emblem Club and Grasshoppers. Mary’s family was very important to her and she and Bert would travel across country in their motor home at least once a year to visit with family and friends. Mary is survived by her children; Donna and her husband Gene Leclaire, Sharon and her husband James Fitzgibbons, Stephen and his wife Cheryl Lemieux, Michael Lemieux, daughter-in-law Donna Lemieux, Ronald Lemieux, Molly Smith, Rachel and her husband Charles MacRae, step children, Diane and her husband Craig Cotton, and Larry Kalmes, as well as 20 grandchildren, 35 great-grandchildren and 6 great, great grandchildren, and her dear lifelong friend, Hazel Sadler. She was predeceased by her brother James Hayes, her son David Lemieux, granddaughter Tammy Lemieux, grandson James Gormally, Jr., great-granddaughter Kaitlyn Fitzgibbons and son-in-law Eric Smith. Services will be held in the Cornerstone Church, 5 East Hartford Ave., Uxbridge, on Saturday, March 30th, 2019 from 1 to 4 PM (formerly, North Uxbridge Baptist Church, where Mary attended and received Christ as her Savior). In lieu of flowers, the family is asking for donations in her memory to be made to the St. Camillus Health Center Van Fund, made payable to “St. Camillus Van Fund” 447 Hill Street, Whitinsville, MA 01588. Their love and care for Mary, as well as her family, was beyond amazing. The Williams-Pedersen Funeral Home, Inc. of Upton is assisting the family with funeral arrangements.